I first heard about Mafé from a coworker a few years ago. 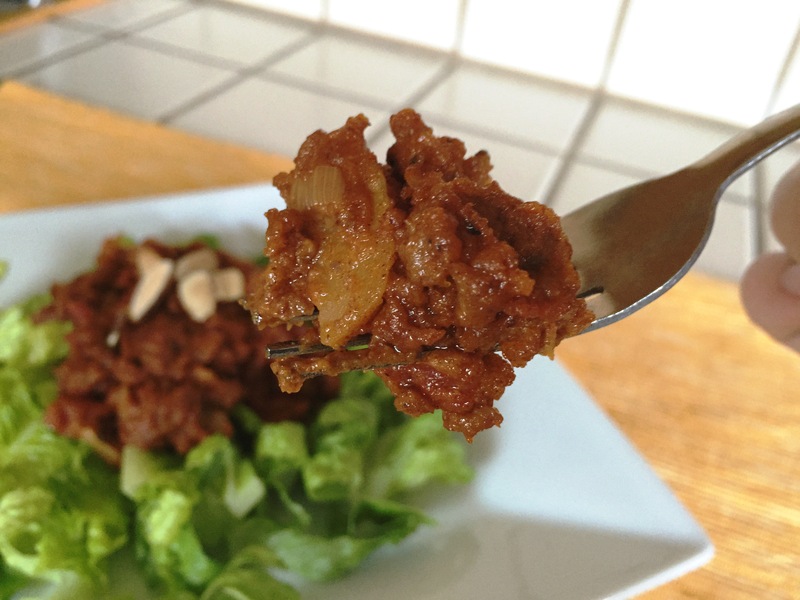 She described this rich African stew that her kids would go crazy for, made with a special ingredient that she knew I would be crazy for – peanut butter. Peanut butter! I know what you’re thinking…please, go on. Mafé originated from West Africa, specifically from the Bambara people of Mali, and is also referred to as domodah or tigadegena, which literally means ‘peanut butter sauce’. Traditionally speaking, the dish is prepared as a stew with beef, lamb, chicken or seafood, starchy vegetables, peanut butter and spices, then served with rice, cassava or plantains. 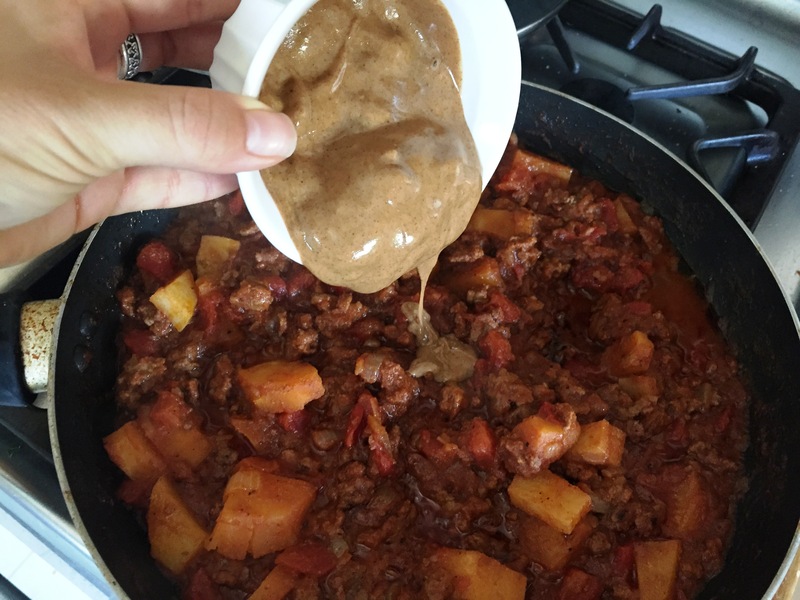 With my version of Mafé, I swapped out the peanut butter with almond butter, making it paleo friendly and safe for anyone with a peanut allergy. I’ve also used ground meat and reduced the liquid in this dish to make more of a chili rather than a stew, being that it doesn’t quite feel like stew weather here in sunny California. This can easily be changed back to a stew by using beef stew meat, chicken or another choice of protein, and adding more water or broth in the recipe, which I will address in the notes. I also felt like this dish is so hearty and rich on its own, it didn’t necessarily need to be paired with a starch. I simply served it over a bed of romaine lettuce instead, and it was stop-you-in-your-tracks type of good. Matt and I had no problem eating it for lunches and dinners for a whole week! So, without further ado, here is the #cavegirlapproved version of my new favorite dish, Mafé. 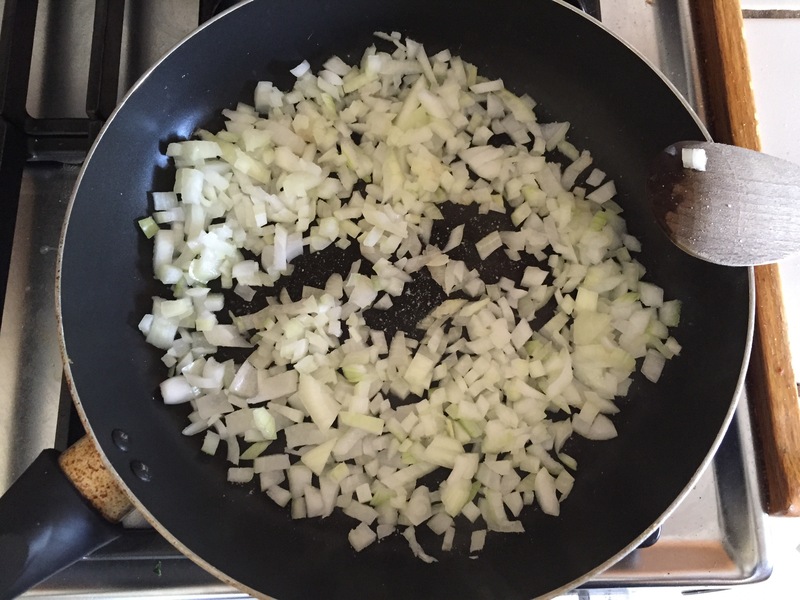 Warm the oil in a large skillet over low heat and add the onion. Season with a little salt and pepper and saute until the onions are translucent. 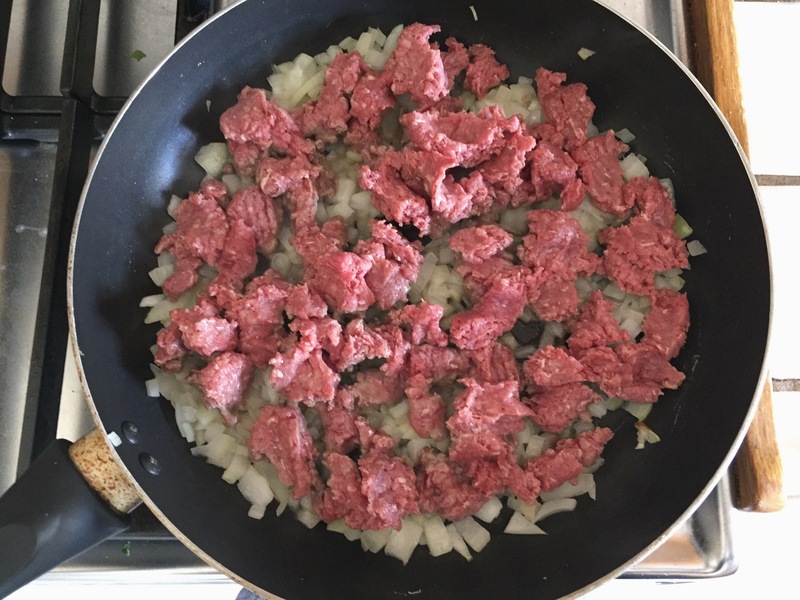 Turn the stove up to medium heat, and add the ground meat to the skillet in small chunks. Let the meat brown, while seasoning it with a little more salt and pepper. After the meat has browned, turn the heat down low and add the spices, the canned tomatoes, and the water and give it a few good stirs to mix the spices with the meat and sauce. 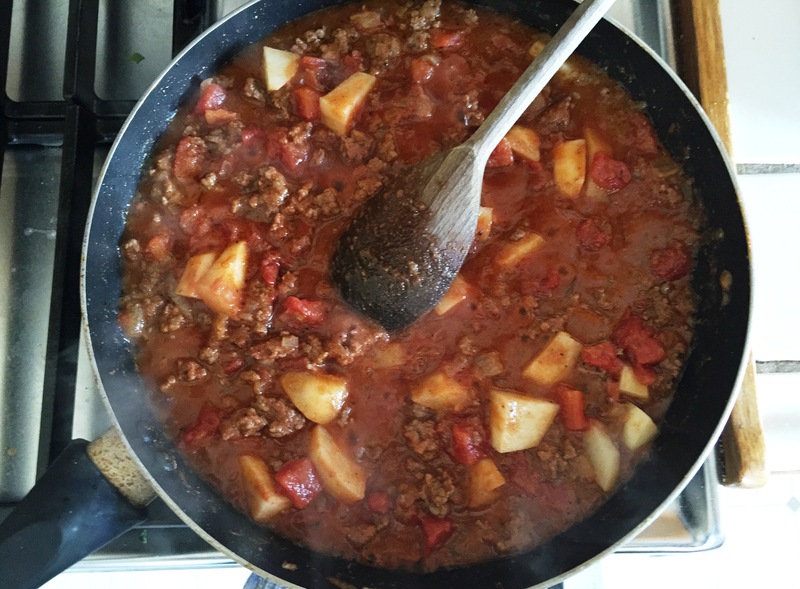 Then, add the diced potato and stir in the tomato paste. Cover this and let simmer on low for about 15 minutes, stirring every few minutes. Once the potatoes are soft and the spices have developed a little, turn the heat off and stir in the almond butter. Serve hot, over a bed of romaine lettuce. **Notes: As mentioned before, I prepared this dish more as a chili rather than a stew. You can add more water and reduce the tomato paste to give it the stew like consistency. If preparing as a stew, I would serve it alone (no romaine lettuce), or over cauliflower rice. Also, please be sure to taste test after mixing in the almond butter and adjust the liquid, spices or almond butter as needed. 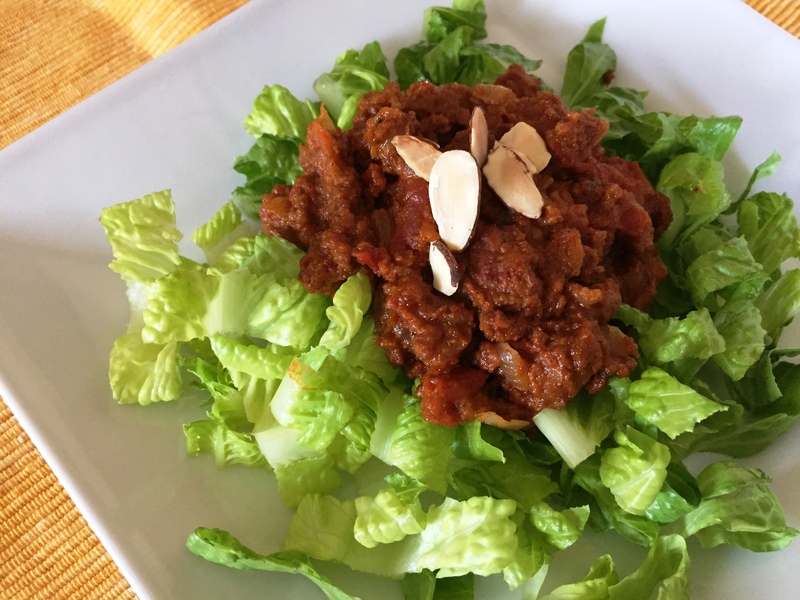 I found with the ground turkey version, I needed to use a little more almond butter to really elevate the taste. A small portion of this dish goes a long way! Dig in, my fellow almond butter addicts.